To meet the increasing quality requirements of today’s beer production process Bolten Brewery uses Pentair Haffmans’ portable O2 Gehaltemeter, type o-DGM. Whether it is in the choice of raw materials or brewery equipment, the consistent focus on high quality runs like a thread through the 700-year history of Bolten Brewery. Founded in 1266, in Korschenbroich, Germany, the Bolten Brewery calls itself the oldest Altbier brewery in the world. “The love of the outstanding taste shapes the Bolten brand,” said Michael Hollmann, Managing Partner of Bolten Brewery. Against this background, in recent years, monitoring the oxygen levels from production to bottling has become increasingly significant for quality assurance. 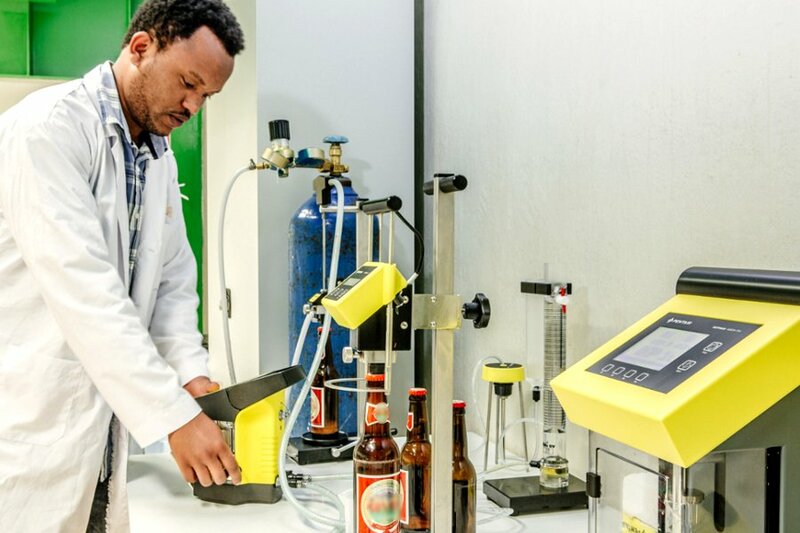 “The level of dissolved oxygen is very important, as it negatively affects the flavor stability and shelf life of beer,” said Torsten Schmidt, Master Brewer at Bolten Brewery. The brewery wanted a measuring system that met very specific requirements. “We wanted it to be used at various stations and to be able to measure the oxygen in liquids as well as the purity of gases,” recalled Heinrich Hartwigsen, Director of Quality Assurance. 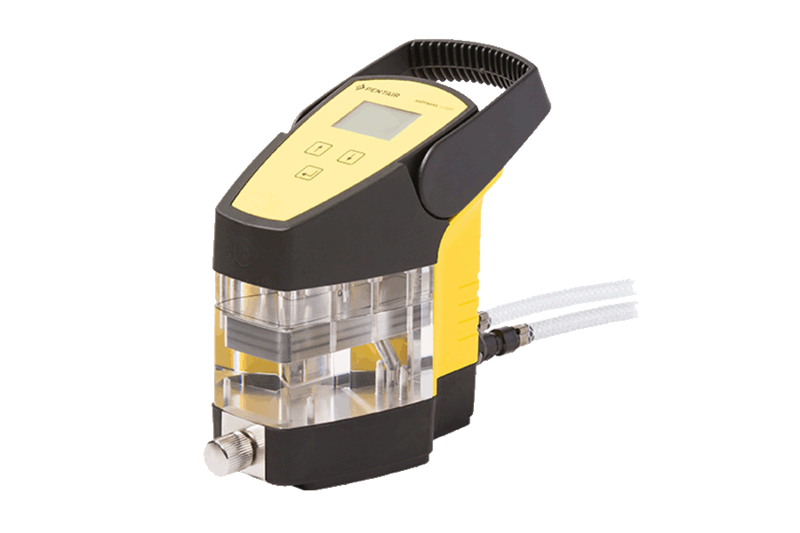 “In addition, it should be independent of the user, offer the utmost accuracy, have reliable measurement stability, and a fast response time. All of this with minimal maintenance and calibration requirements. In the selection process all relevant oxygen measurement systems from different vendors were tested against each other. 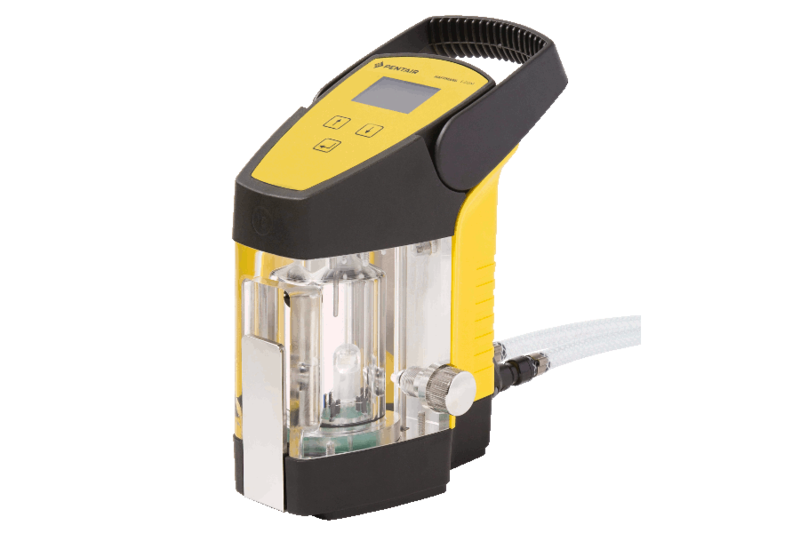 “The portable oxygen measuring system o-DGM from Pentair Haffmans fulfilled all of our requirements as a single system. This had us convinced,” Hartwigsen said. The device settings allow operators to choose between single sample and continuous measurement. Using single sample measurement, the o-DGM’s portability and light weight make it ideal for routine control during production. In combination with a sampling device, such as Pentair Haffmans’ ISD 2000, the inspection of filled containers in the laboratory is much easier. The o-DGM can be used in-line for continuous measurement. The system stores the measured values in the internal memory. Thus, the various production stages can be continually monitored, if in-line measurement is not available or to verify existing in-line oxygen measurement systems. The stored data can be transferred to a PC for analysis. In addition to continually monitoring beer production, a quality-conscious brewery cannot ignore the examination of product sources such as water and CO2. 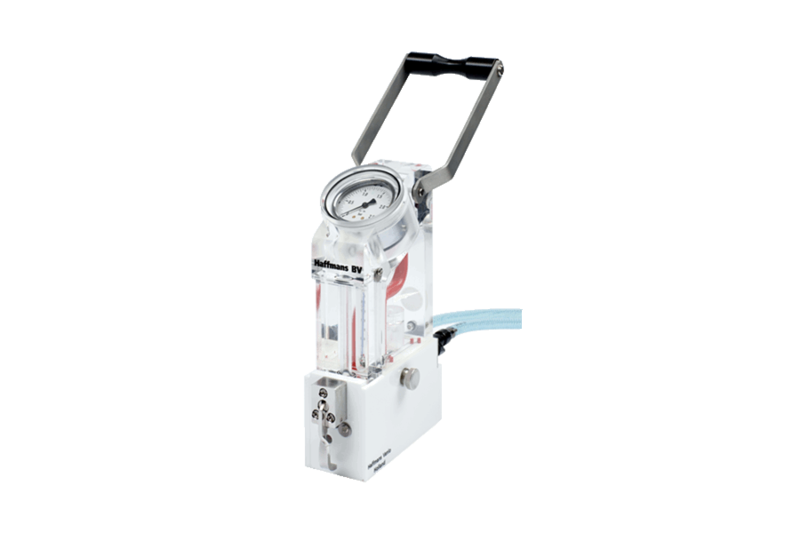 The o-DGM not only measures the oxygen content of liquids, but also determines the purity of gases. Examples include high gravity brewing where the final product is set using water and CO2 dosaged to the desired parameters and for the inspection of the pressurizing gas in transport trailers. Even the wort ventilation can be controlled through oxygen measurement. The o-DGM’s oxygen measurement is certified by the TU Munich Weihenstephan and is based on the luminescence measurement. The fluorescence changes in response to the oxygen partial pressure. Based on the measured oxygen partial pressure and the measured temperature, the amount of dissolved oxygen in the liquid is calculated. This measurement method is completely independent of the operator. The optical measurement technology is very stable and does not require regular calibration. Empirically, it was determined that after one million oxygen measurements, the deviation from the zero point amounts to only 5 ppb. A light pulse counter, which holds the number of exposures, is integrated into the software. When one million measurements are reached, the program prompts you to calibrate the display. This reduces equipment maintenance to a minimum. The measurement speed is also noteworthy. The luminescence procedure has a response time of approximately 25 seconds, which is many times faster than conventional measuring systems. Thus, the loss of product, such as at the filler can be reduced significantly. 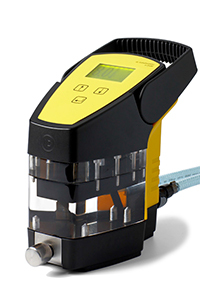 “The o-DGM oxygen measuring system from Pentair Haffmans has proven its worth in production control as well as a quality assurance instrument in the laboratory and thus represents the perfect complement to our carbon dioxide/oxygen combined instruments, also made by Pentair Haffmans“, Schmidt summarized. Thus, the ideal conditions are created, so that the trump card of the Bolten Brewery – the love for the outstanding taste – will stand in the coming years. Portable optical O2 / TPO meter combining high accuracy with excellent measurement stability, frequent calibration is not required. 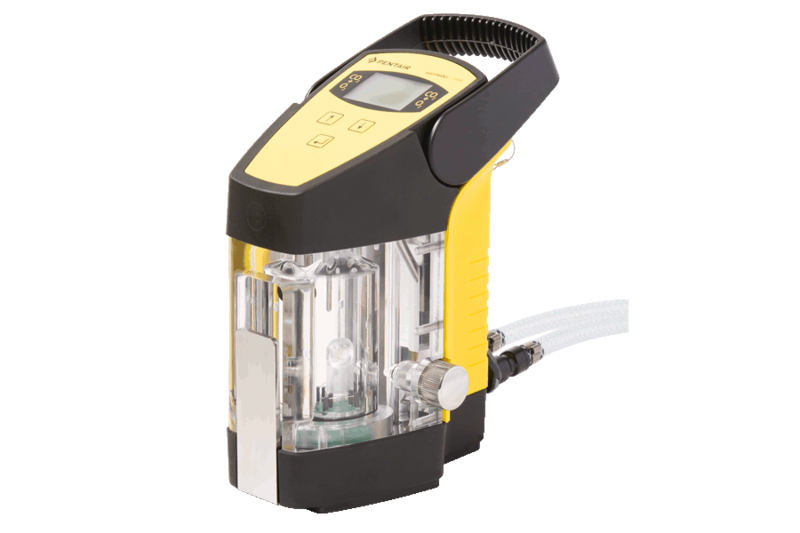 Combining the internationally accepted determination of the dissolved CO2 content with a highly accurate dissolved O2 and TPO measurement. Fast and accurate determination of the CO2 content in beer and carbonated beverages based onHenry’s Law. 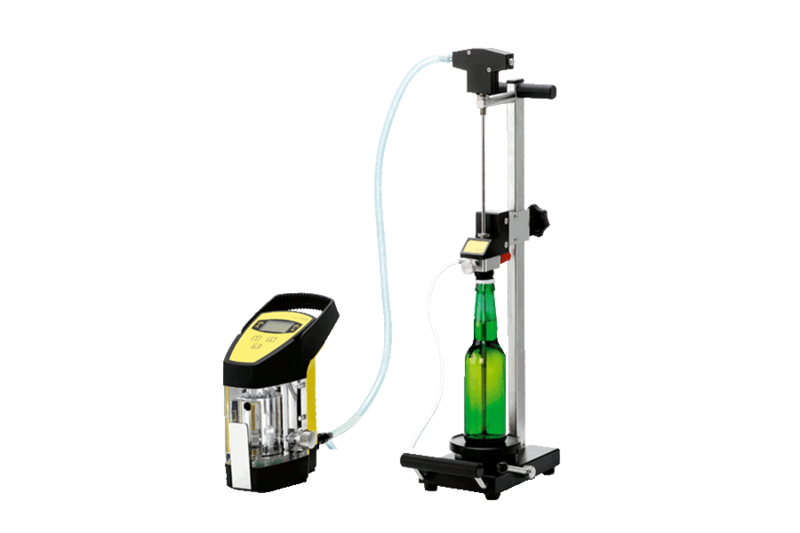 Robust and reliable instrument for sampling beer and beverages from bottles and cans without air intake. Fast and accurate determination of the CO2 content in beer and carbonated beverages based on Henry’s Law.